During his fifty-year career as an artist, John Woodsum Hatch explored the people, the landscape, and the seascape around him. From his extensive travels to his years in New Hampshire, he developed a body of work that captures a sense of place. Through watercolor, ink and sand, he depicted the grandeur of the White Mountains. The crisp light and distinct topography of the Isles of Shoals and Great Bay Estuary are precisely and clearly documented in acrylic and tempera paintings. His ability to convey the sheer scale and longevity of the mountains and sea, and by comparison the fleeting nature of human life, conveys in a not-so-subtle way that the natural environment is to be revered and preserved. 1949, the same year he graduated from Yale University. He never left. A former student, Sam Cady, described his contributions: He was a wonderful mix of jokester and sage. A teacher who obviously loved people, loved teaching, and had a great gift for it. After retiring in 1985, he was made an honorary Professor Emeritus at UNH. Hatch contributed to New Hampshire's cultural life in three areas: his teaching, his art, and his community service. His effectiveness in these three areas can be traced his commitment to give something of himself to help others. Many artists teach by necessity and resent it as a drain on their creative energies but Hatch found his greatest fulfillment from a combination of teaching, making art, and being deeply involved with his community as an art historian and as an environmentalist. 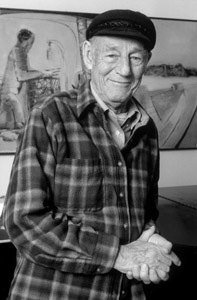 Hatchs work can be seen in numerous public collections, including: the Addison Gallery of American Art; DeCordova Museum; Pennsylvania Academy of Fine Arts; State of New Hampshire's Living Treasures Collection, and the Portland Museum of Art in Maine. John Woodsum Hatch, New Hampshire's 1997 Living Treasure Award recipient, died on August 6,1998, at the age of 78.